In my concern health should always be our main priority. Healthiest New Year’s Resolutions? Lose weight, quit smoking, cut your stress, cut back on alcohol, get more sleep, eat better and exercise everyday. Choose your path and stick to your goals, all through the year. How about an Healthy, Wealthy New Year with $100,000.00 Dollars Cash in your Bank Account! Ain’t that a good way to start the new year! Wish you all the luck and hope you stick to your New Year Resolutions. 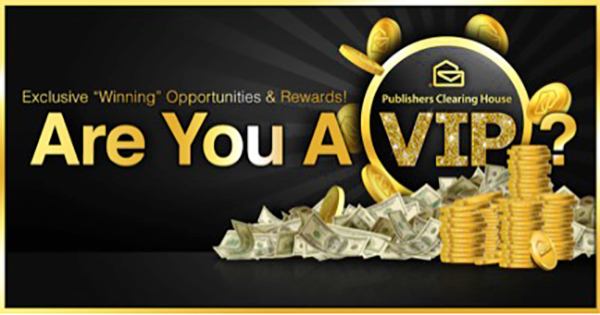 Promotion $100,000.00 Prize from Publishers Clearing House Giveaway No. 10074. Follow the on-screen instructions at pchsearch.com and enter the sweepstakes. For a limited time by visiting pchsearch.com and clicking on the banner with the mention Healthy, Wealthy New Year. Start 2016 Right! Hurry up and visit the website today! So, if you’re ready for cash to save the day, then enter the PCH Cash to the Rescue Sweepstakes now! Enter today and then visit pch.com tomorrow and enter again. Good Luck! What would you do if you won $100,000.00 to start the new year! Invest in Real Estate, Pay your mortgage, invest in your 401k, Travel, etc…. Let us know below in the comment section. Happy New Year! Enter For Free. You don’t have to buy anything to enter. Just follow the instructions in the Official Rules. I claim my entry for the $100,000 cash prize from PCH GWY 8186. I don’t need a vacation, and this would pay a lot of bills and give us peace. Blessings to all! WIN $100,000.00 CASH PRIZE PCH Gwy. NO.8186. Sweepstakes gwy4749 win $25,000Cash Prize. Yes I would love to win no.8186, for house repairs, windows for my house badly needed, $100.000 WOW could I do wonders on my house. Yes I would really love to Enter To Win $100,000 Cash Prize PCH Gwy No. 8186. I would use it for my stuff to get me ready for the evaluation to Minnesota. Then hopefully to get a double lung transplant. Just waiting for a dream. I would love to win $15,000,000.00 on 8/31. Thank You PCH for the chance. Yes I want to win $100,000.00 on 8/31. It would be a blessing to me. Thank You PCH! Pch, I would like to claim pch gwy no. 8186 $ 100000.00, Thank you very much pch. I have made comments over and over. Do you people have time to read all the wise, sometimes, expressing hoplesnes and necessity and the need to have all the money you at PCH offer. Even though I do know that money does not bring happiness, would not be a sin to have all those millions. PCH, I pray to win 1 of the sweepstakes that I’m entered in; it would be a blessing….thank you in advance PCH!!!! FERMIN MARENGO ENTERING SWEEPSTAKE #8186 TO WIN $100,000.00 IN CASH AS ANNOUNCED TODAY.I WILL BE HAPPY TO RECEIVE THIS MONEY SO I CAN HELP MY FIRST DAUGHTER WITH THE DEPOSIT TO A NEW HOME. ALSO HELP MY SECOND DAUGHTER SO SHE CAN FINISH HER DENTAL WORK AND TO MY SON SO HE CAN ALSO PUT MONEY DOWN IN HIS QUEST TO BUY A HOME FOR HIM AND MY THREE GRANDCHILDRENS. I DO NOT NEED THAT MUCH. PROBABLY A ONE MONTH VACATION IN MY BEAUTIFUL ISLAND OF PUERTO RICO. I haven’t had a car since after I retired and it’s been a real bummer, so I would buy a new car! I don’t care if its a used car just as long as it’s a good car that I can take a ride with my disabled son to the beach once in awhile. So I hope and pray every time I enter one of these sweeps that this time would be mine. Thanks for the opportunity. I Lonia McKinley declare herein, “CLAIM SOLE OWNERSHIP”-fully eligible for every entry to become the ONLY Winner of this Bulletin notice $100,000 Cash Bonus from PCH Sweepstakes Giveaway Number (8186). Yes activate my entry to win $100,000.00 Cash from PCH, Thank You ! I would like to enter PCH gwy 8186 $100,000.00 .Good luck everyone. I would like to get my 10 entries to win the $100,000.00 – 8286. Enter to win $2 million cash plus $10,000 a month and a brand new lincoln mkz from pch gwy no.8800 on June 30th! I would like to enter to win pch gwy no. 8186 .$100,000.00. Thank you. I am entering giveaway 8186 for $100,000.00. I would love to win and pay down some debts. I really need this. PCH $100,000.00 Sweepstakes Giveaway No. 8186. I have entered my name for the $100,000 being offered on this page. I, as many others, would really benefit from this offer. I ask for myself too. Yes feel lucky to Win $100,000.00 today! Clint henderson may 23 2017 i claim my entry through frontpage for one hundred dollars game way 8186 and i wish i would win thamk you. Yes,I would like to claim pch Gwy No. 8186 $100000.00. John biebel here with my second search for 100,000.00 dollars cash prize from pch contest number 8186 I could really use this money thanks for keeping me up to date on these contests you folks have a great week. In it to win it!! I want to win the $100,000 cash prize from PCH GWY 8186. Please enter me In the PCH Giveaway 8186. Yes I want to claim entry to win $100,000.00 cash pch gwy no.8186 and enter $2,000,000.00 plus $10,000.00 a month for life and a brand new lincoln mkz pch gwy no.8800 and $15,000.00 towards a luxury vacation pch gwy no.8187 on June 30th! I came back to enter for cash PCH GWY 8186 It would due at least help a lot.K.D.L. I would to win pch # 8186 for $100,000.00 please activate my entry ,thanks for the chance to win. If I won the $100,00.00 I would buy me a hot water heater and put in a shower or tub in my house…no more bathing with a water hose in the back yard… I would be able to get my place fixed up so my grandbabies could come stay the night…. I claim my entry to win $100,000 cash prize n PCH GWY 8186. I’m ready!!! Thank you sooo much!! Yes I claim my entry to win $100,000.00 Cash. Thank You PCH for the chance. I would like to be entmebred to win VIP s $50,000.00 pch gwy no. 8186. Thank you! I want to win the $50,000 prize on PCH GWY 8186. I am so grateful for this. THank you Prize Patrol! Thank you, God!!! I would give to my family & to my friends that took care & looked out for me. Pay medical bills& help put my kids through college. Please activate my entry to Win it All pcg gwy no. 8800. PCHGIVEWAY no8l86. $1,000,00 8835no2,000.000. No6086. 10,0000. Car no8800. I.hope God I Win I need a car. ENTERING TO RECEIVE 3X ENTRIES TO WIN GWY NO. 8184, $25,000.00. I THEREFORE CLAIM OWNERSHIP AND GIVE PCH PERMISSION TO ENTER ME IN THE DRAWING. YES! I would like to WIN and CLAIM to the $50,000.00 Cash Prize PCH Giveaway No. : 8186. That would be for a New Car! See you all on April 28th! at my front door with the “BIG CHECK in hand. How lovely to think of helping others with wildly improbable winning. To Pch I am a VIP and I’d like to sudmit my 10x entries for the $100,000 sweepstakes. If I win the prize, I would be able to continue the last phase of my education. It would be a dream come true after so many years of trying to finish my education. submitting ten entrants numbers one through ten for $100.000 Cash gwy #8186, last day of the Golden sweepstake Anniversary, congratulations for a job well done. THANKS TO ALL OF YOU PCH TEAM!!! activating entry #7 for $100,000 Cash gwy #8186. Activating entry #6 for $100,000 Cash gwy #8186.
activating entry #5 for $100,000 Cash gwy $8186 50th celebration. DEAR Pch Happy 50th anniversary. I’m entering to win a 100,000.00 giveaway 8186. i’m wishing for a good luck to win any of your giveaways. I would like to activate and win VIP GWY 8186 for 100,000.00 or the Lincoln MKZ! I am in it to win Giveaway no. 8186 for 100,000.00. That would be great! I ready to win 100,000.00 if PCH want to come out. Dear Prize Patrol – absolutely I want to win the $100,000 Gwy 8186 and Gwy 8035 for $1000000. God bless you for all these opportunities, and I am so open do receive. Thank you, God!! which will enabling me to give to family and friends. I would like to get my 10 entries to receive $100,000.00 8185. Yes, I would like to claim my 10X Entries to WIN the $1,000,000.00 Cash Prize PCH Giveaway No. : 8035. I sure want to be the SuperPrize winner this time! Enter PCH for 100,000.00 Cash prize PCH GWY number 8186 I could use any cash prize to bless to get out of debt.. I would love to win a $25,OOO.OO Cash Prize from PCH Gwy. No. 8184! It would be a miracle, but a really welcome one! Hello PCH, I would love to win the big superprize. I have been playing your games having a blast. I am retired and enjoying life, it would help if I could be blessed with some money. It could help me pay off these bills from the hospital and pay off my house. So then I could really enjoy my retirement. I would share my winnings ugh my son, who had a stroke and his wife left him and she took everything they had and she left him his clothes. So bless whoever wins. I would like to put my name in for a chance to win $100,000.00 – 8186 and more if possible. WINNING ANY AMOUNT OF MONEY WILL HELP ME HELP MY DAUGHTER,WHO NEEDS HELP,BADLY.THANK YOU FOR THIS CHANCE. I Lonia McKinley declare herein, “CLAIM/SECURE SOLE OWNERSHIP” fully eligible for every entry opportunities in this Bulletin notice to become the next winner of PCH $100,000 Cash Prize Sweepstakes Giveaway Numbers (8186/6085) submitting ALL 5 Entries Assigned to my PCH Prize Numbers (8800,8186,6085) to be fully eligible to Win from Promotion “New Year Resolution Giveaway Number (8186). Thank you PCH Online Sweepstakes/Contests Officials! Please activate $100,000,00 Dream Vacation to Las Vegas. Gwy #8186. Plus $25,000.oo for a Vegas trip. GWY #8184. It would be an absolute pleasure if I can meet the PCH Representatives on a face to face basis, hopefully my time has come for that opportunity to happen with the Prize Winning #8186. Yes i want to win $25,000 from PCH Gwy No.8186 Plus I want enter to win $5,000.00 A Week Forever from PCH Gwy No.6900 on February 24! 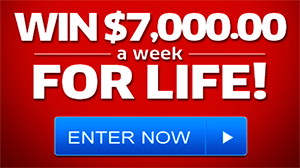 And i want to enter to win $7,000.00 A Week For Life from PCH Gwy No.8800 on April 28! Please enter my 10X Entries To Win $100,000.00 from Gwy No. 8186! So many needs; such a strong desire to help; long shot, of course — nearly impossible, but exciting to contemplate. Everyone has needs and desires — including me — to be able to help children and the organizations that do good work around the world. Can’t do it so well now on retirement economy. ENTERING TO CLAIM & WIN PCH GWY NO. 8186 $15,000.00 CASH PRIZE. IT SURE WOULD BE NICE TO BE ABLE TO WIN THE CASH PRIZE AND GET A FEW THINGS. God Bless you ALL~*~I am here!David is still alive!More Doctors now!Praise God Jehovah and ALL HIS HANDIWORK! I WANT TO WIN IT ALL~*~#6900 and #8186 and the MKZ and The New Pch Dream Home built on our land!We really need all of this!Praise every one of you for praying for us because God hears everyone of them!Love to claim some we have prayers for you all to have HIS “MIRACLES”too! Winning the 6900 and or 8186 would be phenominal . I would be able to tailor our home since my husband is disabled. Keeping my fingers crossed PCH. PCH I HOPE THIS IS N THE RIGHT SPOT.15,000.00 WOULD MAKE ME HAPPY IF I CAN WIN THIS CASH PRIZE. OF 8186 IT WOULD PAY SOME OF THE BILLS TO ALMOST ALL. BUT I WANT TO BUY A HOUSE AGAIN SOME DAY IN WEST BEND WS . SO I WANT TO WIN 5,000.00 A WEEK ON FEB24TH.PLESE..
Redo the landscaping and repair or replace fencing as needed around the yard. Finish replacing light fixtures and other repairs to house such as replumbing one shower/tub drain, sink, toilet and tile in 3rd bathroom of house almost totally paid for after 30 years. Pay for travel to Civil Air Patrol Safety training in Virginia and other travel and assisting or training CAP squadrons in Washington State in Safety of operations. THANK You Very Much From an 80 Yr old,,,,R.D. I Would like to win 8186 & Also 6900 Plus The New Lincoln and any other prize You Would to ADD..
From An 80 yr old….THANK YOU…..RD…. Yes! Yes! I want to win! PCHGWY6900 $5,000 A Week “Forever”,PCHGWY.8186 Lincoln MKZ. Car on 02/24/2017. Both Prizes are very important for me to help my family financially starting with my parents that needs the proper care and their House fixed I would like to fence their yard so know intruders can hurt them with train guard dogs incase they forget to lock their home doors. My sister I would like to help her in her fight against cancer. I would like to at least work til 70 years in age so I will open a business that will create more jobs in Hawaii, I would like to make a difference in life along with my sisters and my daughter. I will invest in Business for my sisters and grandson future for survival. I would buy the property next to my House extend my Home to raised mustangs, and adopt more dogs and train them, I have a passion to adopt dogs and give them the proper care. I win the Lincoln I would ship the car to Oahu for my transportation instead of renting a car every time. My Daughter Tiana Kehaulani-Kiyomi Young will be my beneficiary. I Diana Hitomi Young would be honored to have the Prize Patrol come and knock on my door in Beautiful Island of Hawaii so come over bring Flowers ,Balloons Champagne, and Local TV I be waiting at my residents. Publishers Clearing House thank you for this opportunity for My Family and I. ENTERING TO WIN GWY 8186, $75,000.00 TO WIN A CASH PRIZE. WINNING THAT MUCH MONEY WE COULD DO SO MANY THINGS AROUND THE HOUSE.THANK YOU PRIZE PATROL FOR GIVING ME THIS CHANCE. Yes, I would like to WIN the $50,000.00 CASH PRZIE PCH Giveaway No. : 8186. Sure hope to see the Elite PCH Prize Patrol come to my front door with the “BIG CHEC” in hand. i guess that we all want to win, so what do we do? keep on playing and maybe one of us will get lucky. ENTERING TO WIN GWY NO. 8186, $100,000.00 CASH PRIZE. I COULD HELP 2 OF MY GRANDCHILDREN WHO ARE GOING FOR THEIR MASTERS DEGREES. LOOKING FORWARD TO MEETING THE PRIZE PATROL. I want to win it all, thanks. I hope to be the lucky one. PCH SEARCH&WIN>1,000,000.00 &PCH GWY#8186 50,000 CAR,PLUS 5,000 A WEEK FOREVER PCH GWY#6900 ON FEB 24\17 THANK YOU. Yes! I want to win to claim PCHGWY.8186 $100,000 Cash prize, PCHGWY.6900 $5,000 A Week “Forever” . Publisher Clearing House Thank you for this opportunity for this will be my chance to Help my Family through their hard times, and will give us chance in this upcoming life change. If this dream come true I could help my parents, sisters, brother , daughter and grandson in this change and also make difference in life. ” Forever and ever, Amen”.